The Wadsworth Estate, nestled in the Historic Wesley Heights Neighborhood, has new owners. 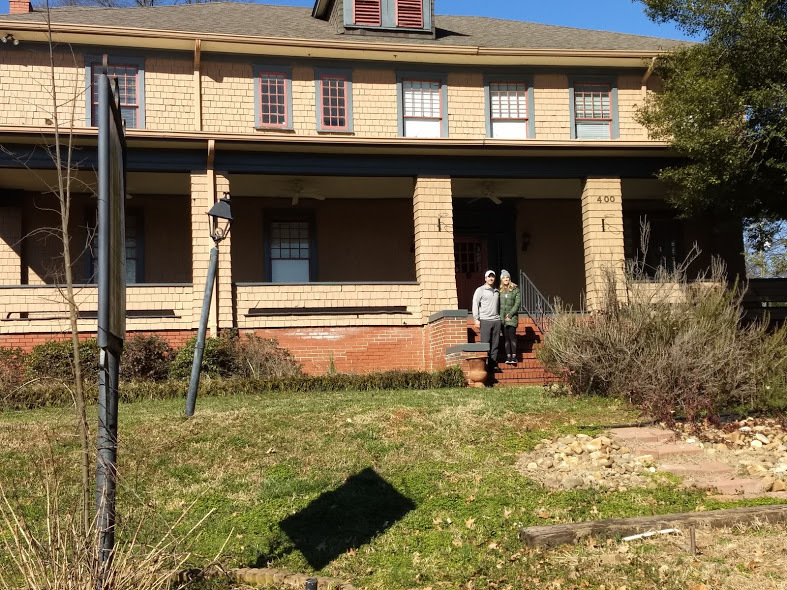 Mark and Alyson Miller moved into the historic home in October 2018. The house was designed in 1910 by the well-known Charlotte architect Louis Asbury. In 1911 the house was built by developer E.C. Griffith for the original owner George Pierce Wadsworth. Wadsworth was a prominent business owner in the community. Another reason they really like living in the Historic West End is the walkability of the Wesley Heights neighborhood.”You can take the Greenway down to Blue Blaze Brewing, and Enderly Coffee is right up the street too,” said Alyson Miller. They have also enjoyed finding quick routes to places like Frazier Park and Freedom Drive using the Greenway.